Slovaks consider castles a national treasure. Partly because castles in Slovakia are inextricably linked with the country’s history, partly because they are some of the most unique must-see landmarks. 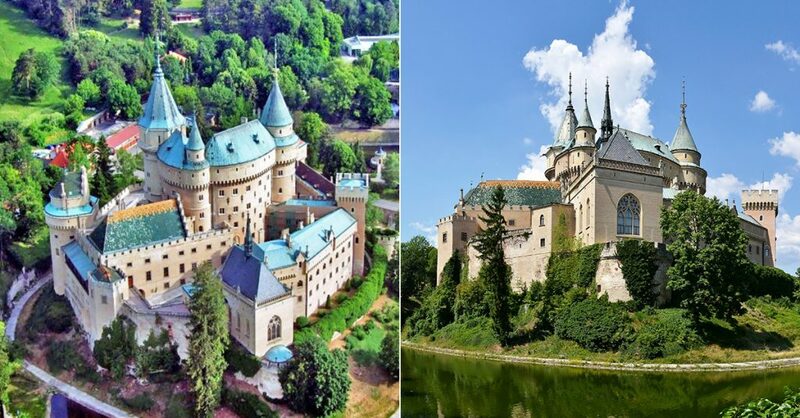 What’s more, when it comes to castles, Slovakia is veritable superpower, boasting the most castles (180) and chateaux (425) per capita in the world. chateau (zámok) as a a nobility’s large, often fortified, country residence built on flatter, lower land. This map of Slovak castles shows both castles featured in this article and a number of other significant castles. Legend: Dark brown markers indicate the 14 preserved Slovakia castles featured here, light brown markers indicate the 9 ruins featured here; indigo markers indicate 6 other preserved castles, and purple markers 45 castle ruins. In all, the map shows 74 of 180 Slovak castles (120 if you only count those that are visible). Whether in Slovakia or elsewhere, castles served as seats, residences, or forts of kings and nobles. 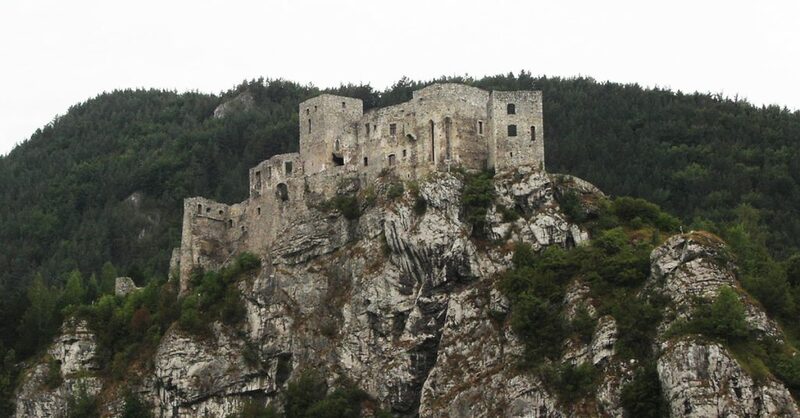 Castles in Slovakia were always built in elevated locations, like steep hills (cone-shaped hills were particularly favored), cliffs, or rock formations, which were well defensible, had protected access, and offered good visibility, thereby enabling the residents to control the surrounding area. 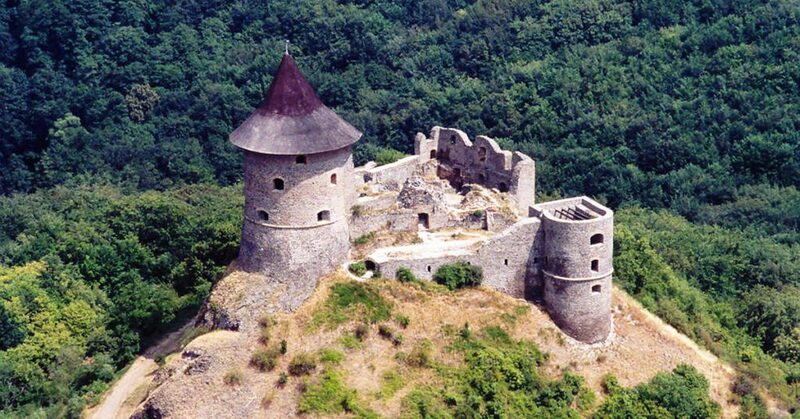 Many Slovak castles were sited at places of strategic importance in order to guard an area, road, river, or mountain pass. To this day, the Slovak term hradská cesta (castle road) connotes a road, which connected castles used to guard it and provide shelter to travelers or in case of enemy attack. 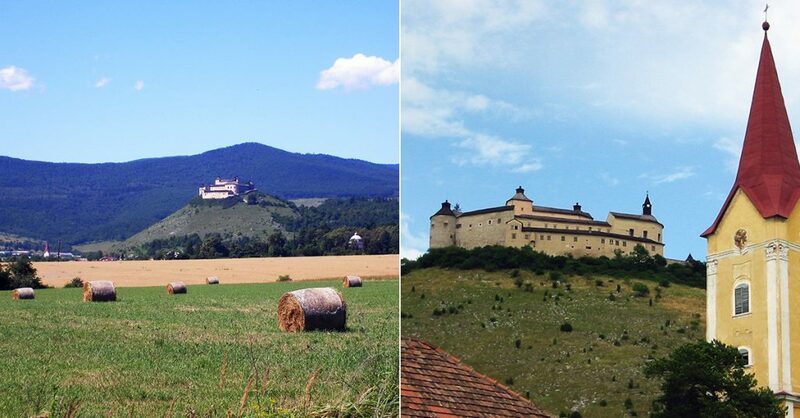 Castles in today’s Slovakia evolved in seven historic periods. A number of castles, particularly in western Slovakia, were built in the 11th-12th centuries upon the foundations of 9th-10th century Great Moravian settlements and fortresses. See e.g. Bratislava, Devín, Nitra, and Trenčín. 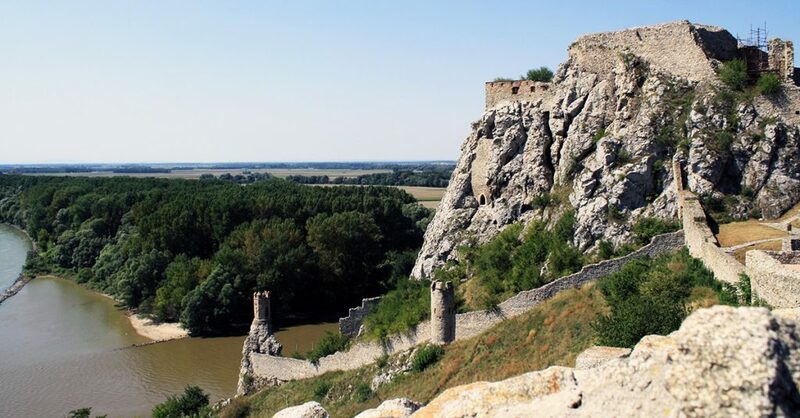 Most Slovak castles, particularly in Central and Eastern Slovakia, were built after the 1241 Mongol-Tartar invasion of Europe, from mid-13th century forward, to guard against further incursions; see e.g. Ľupča and Orava. Many earlier castles were reinforced in this period, e.g. 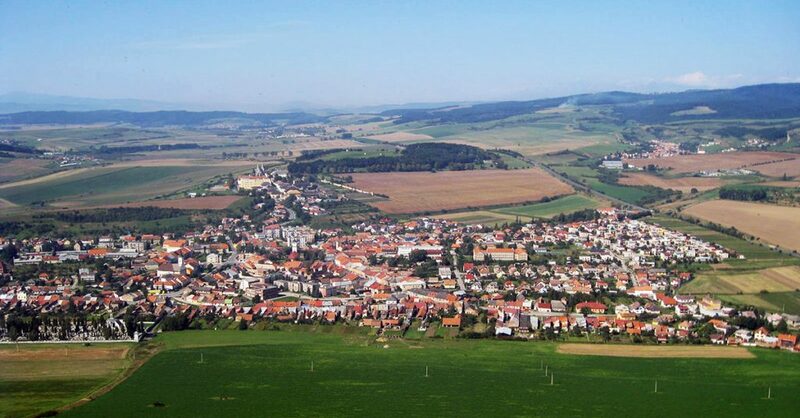 Fiľakovo and Šomoška. The third period in Slovak castles’ history came during the 15th century Hussite AKA Bohemian wars, in which gunpowder was used extensively for the first time. 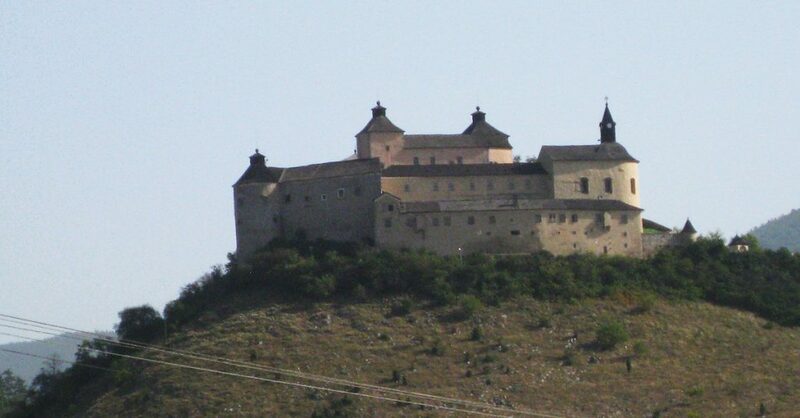 Many castles, including Bratislava, Kežmarok, and Spiš, were built or greatly reinforced to defend against the Czech Protestants. Many other castles, particularly in Central and Western Slovakia, and along the border with Hungary, were built or expanded to guard against the 16th-17th century Ottoman Wars. See e.g. Banská Štiavnica, Beckov, Krásna Hôrka, and Zvolen. Incidentally, the damage from the Ottoman conquest led to the destruction and decline of many Slovak castles, many of which, having lost their defensive purpose were not rebuilt and fell into disrepair. 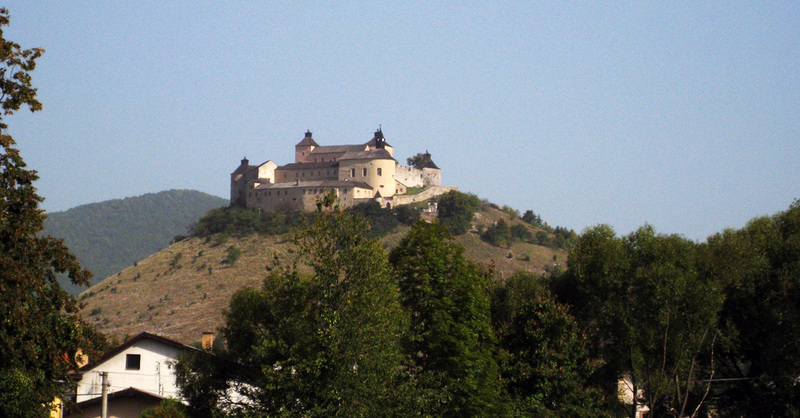 Many castles around Slovakia further declined in the 17th and early 18th centuries during and after various nobility uprisings against the Hapsburgs. The royals damaged or even destroyed many castles they considered as seats of the aristocracy’s rebellion. Napoleon then blew up or burned down many castles in western Slovakia, including Devín, Bratislava, and Pajštún, during his conquest. In these latter periods, castles in today’s Slovakia also declined in importance because their noble occupants demanded greater comfort and found castles difficult to upgrade, remodel, and access. Consequently, nobles moved down to chateaux and manors in or near their villages. As castles declined, villagers in many areas then used abandoned castles for building material. 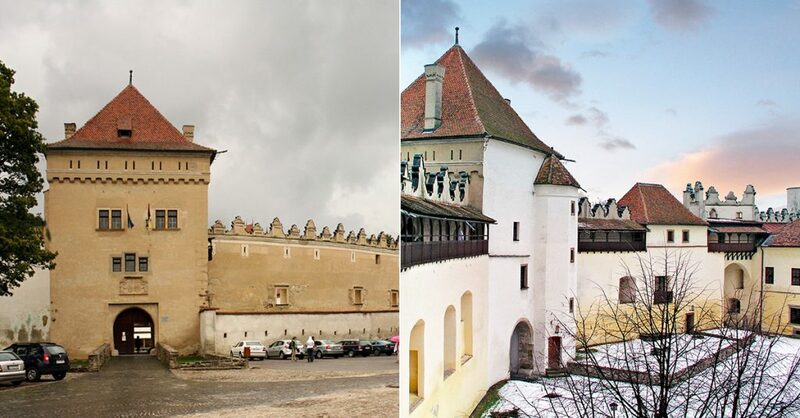 The final period of Slovak castles’ history began after WWII, when the government set out to rebuilt, reconstruct, or remodel many castles to turn them into museums (Ilava was turned into a prison). And, about a decade into Slovakia’s independent existence, another push began to renovate and beautify castles around the country. See e.g. Beckov, Bratislava, Čachtice, Likava, Topoľčany, Trenčín, Vigľaš, and many others. 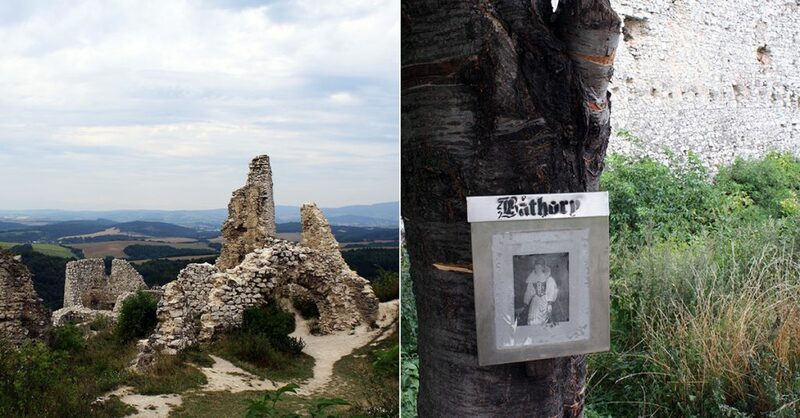 Today, hundreds of castles remain in Slovakia, in various states of (dis)repair: some are well preserved and serve as museums, many others stand as ruins, and even more others are no longer in existence at all, built-over or buried by Nature’s hands. 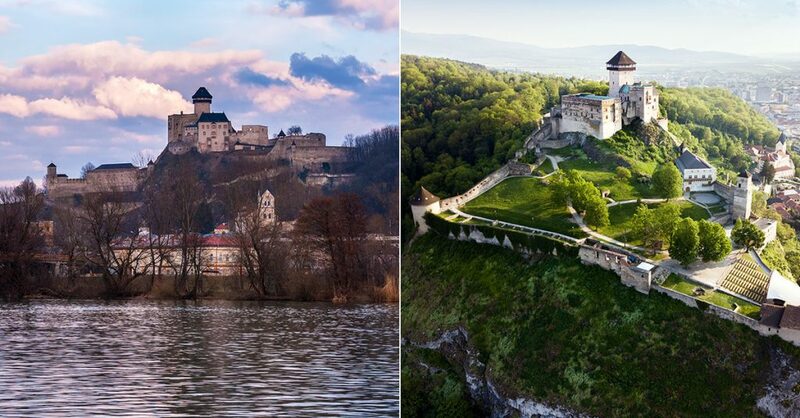 Since 1993, every first Saturday in October, the 101 best Slovak castles play host to the annual ascent event (October is the official Castles Month in Slovakia). The Ascent to 101 Slovak Castles and Chateaux is part of the European Heritage Days. Slovaks of all ages take trips up to their castles, in part to preserve the historical knowledge about them and in part to help with their preservation. After all, castles are some of the best places to visit in Slovakia. Of course, you can visit Slovak castles any time they are open. There are hundreds of castles, chateaux, and forts in Slovakia. The best castles in Slovakia are those that have been preserved or renovated and repurposed into museums. Every castle on this list is a National Cultural Monument. The town of Banská Štiavnica is a UNESCO World Heritage Site in the Banská Bystrica District in Central Slovakia. Old Castle, whence the town grew in the 13th century, overlooks the old town center from the hill called Paradajs. Old Castle was rebuilt into a guarding fort to defend against the marauding Turks, in the 16th century. First, the 13th century Church of St. Mary was fortified, and further expansions and additions continued up to the 17th century. Old Castle is now a museum of mining. In the summer, locals organize theater and music productions here. Across the valley rises New Castle, a white watch tower built in the 16th century. Bojnický zámok (Bojnice Chateaux, better known as Bojnice Castle) is a Romantic castle in the Trenčín District of Central Slovakia. Romantic in both historical and common sense of the word: built over the 12-13th century Gothic and 16th century Renaissance structure atop a travertine rock, it underwent a Baroque restoration in the 17th century. An even more dramatic rebuild, to the current fairy tale-like, Neogothic chateau form, took place at the turn of the 20th century. The castle was turned into a museum after an extensive, post-fire renovation in the 1950s. Part of the museum is a cave underneath the castle. The adjacent castle park is home to Slovakia’s oldest tree, a 700-year-old linden. The park also includes a popular ZOO and extends into a forest park that’s part of Strážovské vrchy mountains. One of the most beautiful places in Slovakia, Bojnice Castle has been featured in a number of films and TV shows, a lot of them fairy tales. Bojnice Castle sees hundreds of thousands of visitors every year, who come during regular opening hours or during festivals like Castle Fairytale, the International Festival of Ghosts and Spirits, and the Summer Music Festival. Perhaps the best known castle Slovakia has, Bratislavský hrad (Bratislava Castle) is the most iconic representation of Slovakia’s capital, featured in its logo and coat of arms, as well as on the Slovak euro coins. The hill, the first on this end of the Carpathian Range (elevation 213 meters / 699 feet above sea level) and on the northern border of the Roman Empire, was populated by the Celts. The Slavs built a fortress here in the 10th century (whence the first written mention originates), the foundations of which are on display in the castle courtyard. After a palace and church were built here when Hungarians took over the area, the castle itself was built in the 15th century as a fortress to defend against the Hussite uprising (Sigismund Gate remains from this Gothic era). Bratislava Castle was rebuilt in the 16th century in Renaissance and in the 17th century in the Baroque styles. When Bratislava ceased to be a coronation city, and particularly after the creation of the Austro-Hungarian Empire, the castle deteriorated. It burned down in 1811, during the Napoleonic conquest, and remained a ruin until after WWII. Rebuilding took some 30 years, beginning in the 1950’s. A comprehensive renovation took place in the last decade. Bratislava Castle is the first, with file #1, on the list of Slovakia’s National Cultural Monuments. 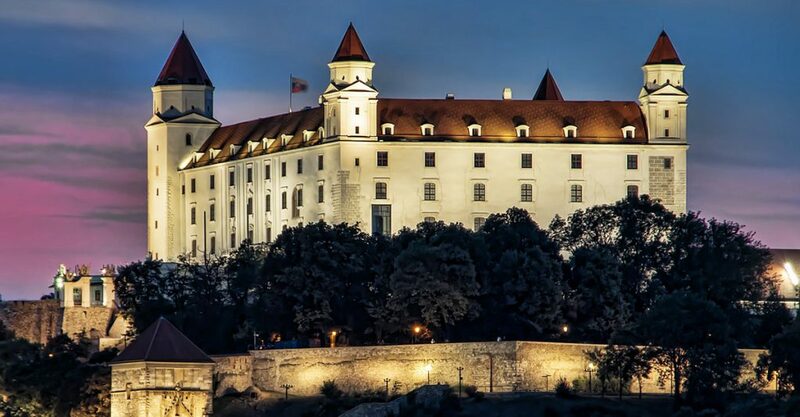 Accessible via three gates, Bratislava Castle today serves as the Slovak Parliament’s representative venue and is part of the Slovak National Museum system (exhibits focus on Slovakia’s history, the history of Slovaks abroad, and coins). The perimeter offers excellent views of the Danube and Petržalka (and Austria) beyond to the south, and the Old Town and beyond to the east. Červený Kameň (Red Rock) is a pretty castle near Bratislava, which has survived all of history’s twists and turns. Legend has it that 12 wise men consulted where to build the castle, in the 13th century. Eleven suggested the nearby hill called Kukla, while the youngest one suggested the actual site because Kukla was a meeting spot for ghosts and specters who wouldn’t like the construction bustle. The majority won but construction was haunted: good fairies carried the castle to the neighboring hill. The 11 wise men thus agreed with the young one and allowed construction to continue at the current site. Červený Kameň castle was rebuilt in the 16th century into a fortress with a top-notch fortification system, used for storing trade goods, including copper. After confiscating Červený Kameň castle from the Pálffy family, the government turned it into a museum of furniture (night tours in the summer are particularly popular), and the former store-rooms offer a glance into the castle’s functional past. Červený Kameň castle is best known for historical reenactments and performances like fencing and falconry as well as a popular site for weddings and movies, particularly fairy tales. Kežmarský hrad (Kežmarok Castle) is a citadel, built, like many “town castles” in Slovakia, in the 15th century by expanding a fortified church. Following the Renaissance remodel in the late 16th and early 17th century, the Thököly family in the 18th century rebuilt the defensive castle into their family manor. Kežmarok Castle was the starting point of the first known tourist trip to the High Tatras, when the castle lord’s wife in 1565 went on a little adventure to the “Snow Mountains” with a group of male burghers. When she returned, her jealous husband imprisoned her in the castle tower for six years. The castle museum first opened in 1931, and was greatly expanded between 1960s and 1980s. The museum showcases the castle’s and city’s history. Today, Kežmarok Castle also hosts theatrical performances, night tours, and the annual European Folk Crafts festival. Hrad Krásna Hôrka [krah-snah hoo-ore-kah] is among the most beautiful castles in Slovakia. Perched atop a conical limestone hill near Rožňava, in the Košice District, it was founded around the year 1320. Castle Krásna Hôrka was further fortified during the Ottoman Turkish conquest, and later, including in the comprehensive renovation after a fire in the 19th century, fashioned into the Gothic-Renaissance gem it remains today. Castle Krásna Hôrka in 2008. The museum showcases the Slovak castle’s history and, in the well-preserved rooms, nobility’s way of life; the castle kitchen and the collection of weaponry, including a 16th century cannon, are particularly fascinating. Aside from architecture and the museum, the mummified body of a female member of the former ruling Andrássy family draws crowds; Žofie Andrássy-Serédy was the Hungarian writer Jókai Mór’s inspiration for his famous novel The White Lady of Levoča. Also in the chapel is the painting of the Black Madonna. As of October 2018, Krásna Hôrka Castle is still closed for renovations, following a massive fire in 2012. Pair your visit to Krásna Hôrka Castle with a stop at the Andrássy family mausoleum in the nearby village of Krásnohorské Podhradie, and a jaunt to the Betliar Chateaux in the eponymous village. Mestský hrad v Kremnici (Town Castle in Kremnica) is a citadel built by expanding a fortified Romanesque church, between 13th and 15th centuries on a hill overlooking the town. Kremnica Castle’s double fortification walls are connected to one of the best preserved municipal fortifications in Slovakia. The Gothic church of St. Catherine, the city’s patron saint dominates the castle’s skyline; 127 steps lead up to top of the adjacent lookout / watch tower, offering spectacular views of the surroundings. Kremnica being the seat of the mint, the museum in Kremnica City Castle has a wonderful exhibit of coins and medals; additional exhibits include history of the city and bells and bell-making. Ľubovniansky hrad or Hrad Ľubovňa (Ľubovňa Castle) overlooks the East Slovak town of Stará Ľubovňa, in the Prešov District. Built on a limestone rock by Poprad River in the 13th century, Ľubovňa Castle frequently hosted meetings by many Hungarian and Polish kings, due to its border location. Ľubovňa Castle was a guarding post of an important trading route. It once served as a hiding place for Polish royal insignia and jewels. It is also famous for serving as a prison of the famous Slovak-Hungarian noble and adventurer, Count Móric Beňovský. Today Ľubovňa Castle hosts a museum, documenting its history, and a castle chapel, used for worship. 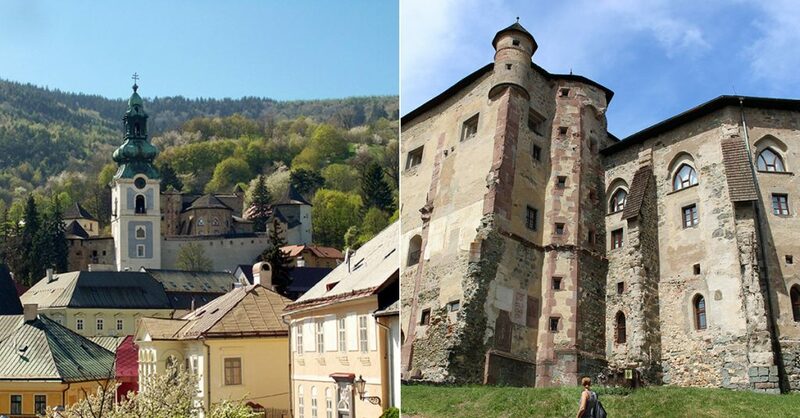 Pair the visit to Ľubovňa Castle with that of an outdoor folk architecture museum nearby. Ľupča Castle is perched on a hill next to the village of Slovenská Ľupča, near Banská Bystrica. 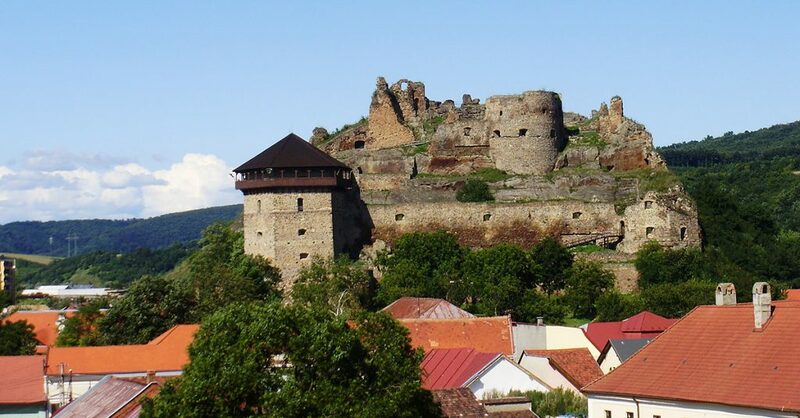 Built in the 13th century, in response to the Mongol invasion to guard the road to Central Slovak mining towns, Ľupča Castle has had a tumultuous history. The castle underwent numerous changes in ownership and purpose, including dowry of Hungarian queens, a hunting lodge, an orphanage, and a school. Today Ľupča Castle belongs to the steel works company Železiarne Podbrezová, which has renovated it to the current form. The castle hosts a historical museum and an event space (popular for weddings). The well at the upper courtyard has a hidden escape tunnel. Nitriansky hrad (Nitra Castle) is one of the oldest castles in Slovakia. Founded in the 9th century by Prince Pribina, it was expanded in the 11th, 14th and 17th centuries. The castle still serves as the seat of the Nitra Bishopric. The most significant buildings are the churches, particularly the Romanesque Church of St. Emeram. Oravský hrad (Orava Castle) has dominated the Orava region, in today’s Žilina District, since the middle ages. Orava Castles sits, since the 14th century, on a seemingly impossible location, a limestone rock towering over the Orava River. The castle was expanded in the 16th and 17th centuries. Orava Castle castle languished after a big fire in 1800. The comprehensive renovation after WWII restored it into its early-17th century form. The castle features three distinctive levels (courtyards), each with its own palaces, fortifications, and gates. Underground tunnels add to the castle’s appeal. 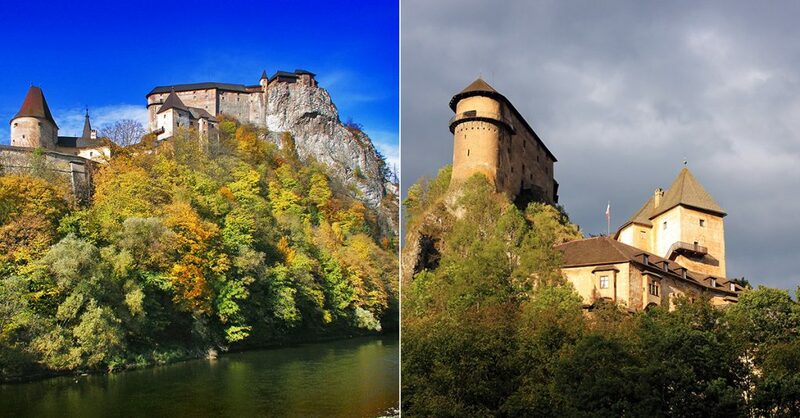 Orava Castle ranks among the most visited attractions in the Orava region and Slovakia overall. It is host to a museum with archeology, castle history, ethnography, and natural history exhibits. Night tours have become popular in recent years. Smolenický zámok (Smolenice Chateau) is another fairy-tale looking Slovak castle, modeled upon French chateaux. Smolenice Chateau originated as a 14th century castle guarding the road to Bohemia. It acquired its current look in the late 19th century based on the plans by the architect who remodeled Bojnice Castle. Smolenice Castle today belongs to the Slovak Academy of Science, which uses it as a conference center. The castle is a popular wedding photography spot, and it’s open to the public in the summer. The castle park, melding into the surrounding forest, adds to the fairy-tale appeal of Smolenice Chateau. Trenčiansky hrad (Trenčín Castle) was founded in the 11th century as a royal castle. In the 13th and 14th centuries it was the seat of the famed noble Matúš Čák of Trenčín. The castle played an important defensive role during the Ottoman conquest. Trenčín Castle burned down in 1790 and the owners, having moved to a comfier manor home, did not rebuild it. Despite the thorough 20th century renovation, Trenčín Castle suffers from faulty statics. There are a number of legends about Trenčín Castle. The most famous tale has it that the Turkish pasha Omar promised the castle lord to dig a well up at the castle in exchange for the freedom of the captive Fatima, his beloved. After three years, Omar succeeded, at the cost of his crew’s lives; Omar’s Well AKA Well of Love, in reality dug by Hapsburg soldiers and locals in 40 years but only filled with rainwater, still stands in the castle’s courtyard. As Omar and Fatima left, her veil caught on a bush, and an inn was built there, named The Veil (now called Fatima). Visible from afar, Trenčín Castle dominates the city’s skyline. Its own skyline is dominated by the 13th century Romanesque Matúš Tower and three Gothic, 14th to 16th century palaces. The large museum includes the tower, all the palaces, a cannon tower, and the underground prison with a torture chamber. Trenčín Castle also hosts various exhibits, performances, concerts, reenactments, and night tours. Zvolenský zámok (Zvolen Chateau, better known as Zvolen Castle) was built in the 14th century as a royal residence and hunting lodge. The Gothic style meant to resemble Italian town castles. The 16th century Renaissance remodel to the current form served to reinforce the Zvolen Castle’s defensive purpose, to guard the Central Slovak mining towns from the Turks. The 17th century saw a Baroque remodel of the interior, which added the beautiful Royal Room whose ceiling bears 78 portraits of various royals. Zvolen Castle hosts Gothic and modern art collections of the Slovak National Gallery. In the summer, the theater festival Zvolen Chateau Plays takes place in the courtyard. 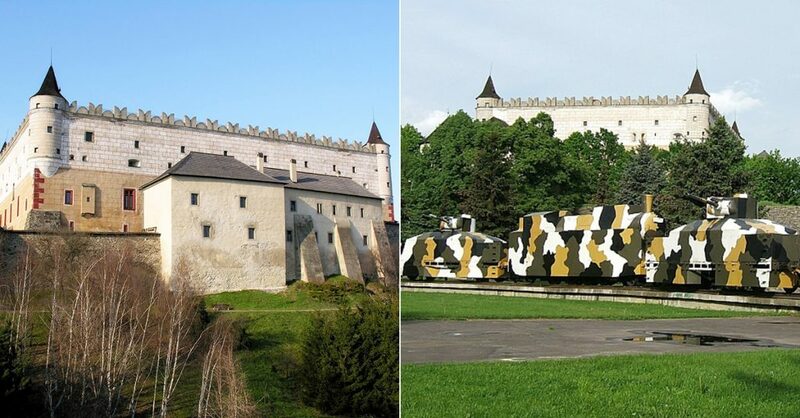 Pair your visit to Zvolen Castle with that of a WWII armored train replica across the road. Some castles, like Halič or Vigľaš, have been turned into hotels; many more chateaux and manors around Slovakia serve as hotels or penzións. A number of other Slovak chateaux started out as castles, including Budatín, Bytča, or Hlohovec. Banská Bystrica City Castle is the other notable citadel, after Kremnica. Most of Slovakia castles are in ruins. Hrad Beckov (Beckov Castle) impresses travelers from afar. Legend has it that Beckov Castle was built as a gift of a local noble to his court motley fool Becko in appreciation of his wit. In historical reality, Beckov Castle had already stood more than a century earlier, in mid-13th century. Beckov Castle enjoyed the status of an unconquerable fort, particularly thanks to withstanding the assault of the Ottoman Turks in 1599. But the castle succumbed to a devastating fire, originating in the village below, in early 18th century, and was never rebuilt. The recent conservation effort restored portions of the castle. The annual castle festival, in July, commemorates all the attempts to conquer the castle. Čachtický hrad (Čachtice Castle) is best known for being the seat of Countess Bathory, whose legend enjoys worldwide fame. In early 17th century, the widow of a Hungarian noble was accused of murdering young village girls to bathe in their virgin blood so she could stay young and beautiful forever. While her servant Ficko died at the gallows, being a noble the Countess was imprisoned in the castle, where she eventually died on August 21, 1614. Today the Čachtice Castle ruin is a popular day-trip destination, offering both a spooky background and magnificent views of the surrounding area (you can see the Jaslovské Bohunice nuclear power plant on clear days). On some days, a local amateur historian sets up shop in the courtyard, sharing his alternative version of the Bathory Castle tale. 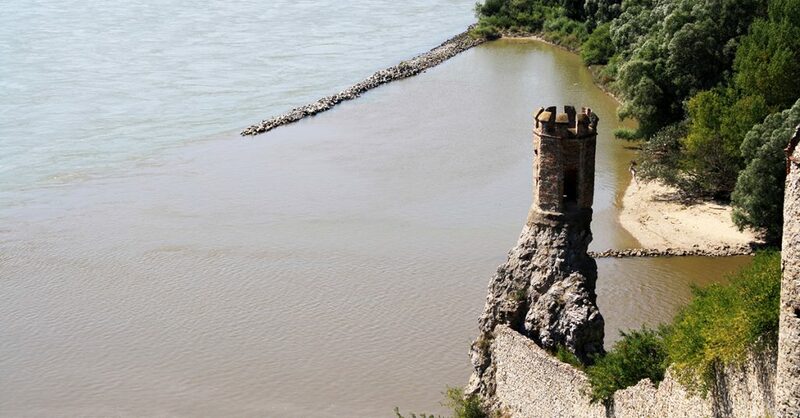 The best known of all the castles near Bratislava, Devín is the first of two Slovak castles on the Danube River, with Bratislava Castle further downstream. Perched proudly on a rock towering over the confluence of Morava and Danube Rivers, it started out as a Celtic settlement, followed by a Roman military encampment. Remains from these periods are scattered around the castle property. Devín Castle’s importance in Slovakia’s popular psyche originates in its growth into a fortress during the Great Moravian Empire, in the 9th century. The castle visible today was built in the 13th century to guard the Hungarian Kingdom’s western border. The most recognizable feature of Devín Castle to date is the Virgin Tower, appearing in most depictions of the castle. 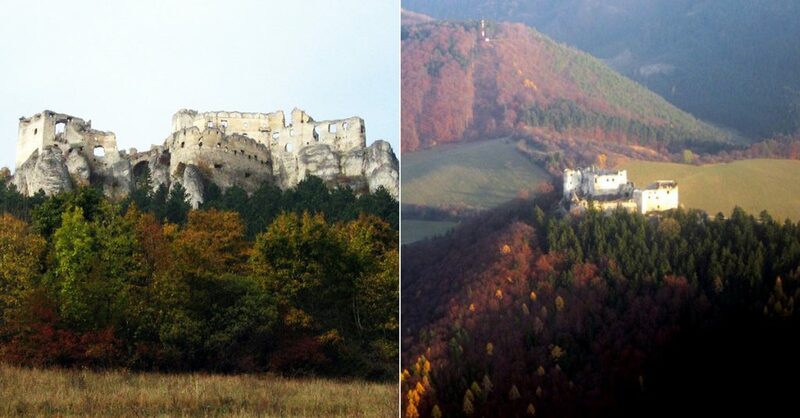 Devín Castle survived until 1809, when Napoleon’s army blew it up, leaving it a ruin. 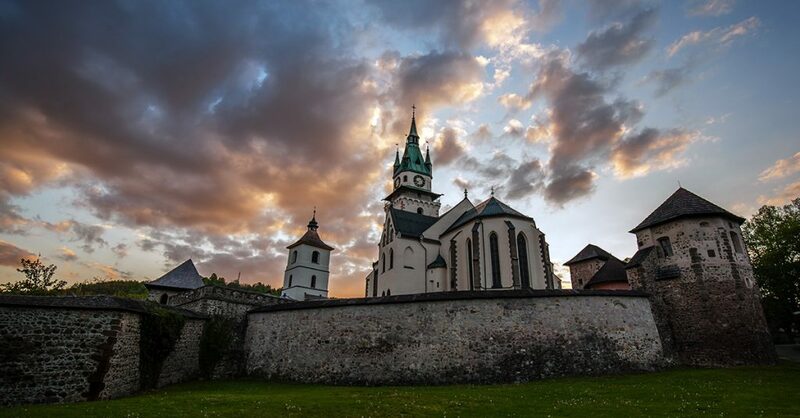 The Great Moravian connection saw a rebirth in the mid-19th century, when Slovak national revival leaders visited Devín Castle, Slovakia to honor the nation’s origins. The Devín Castle ruin is partially open to the public, with a number of indoor and outdoor exhibits. The castle remains one of the most popular daytrip destinations from Bratislava. It is accessible by public transit (bus) from Bratislava and by boat. 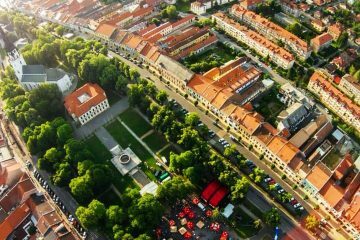 Pair the visit to Devín Castle with a stroll around the Gate of Freedom Memorial to the victims of communism, and a hike to Sandberg archeological site and Devínska Kobyla nature preserve. The 12th century Fiľakovský hrad (Fiľakovo Castle), near the Hungarian border in the Banská Bystrica District, survived the Mongol invasion. The castle was rebuilt in mid-16th century to ward against the Turks, who conquered it anyway. This Slovak castle has been a ruin since it burned down in 1682 (a cannonball from that time is lodged in the fortification). Various reconstruction works have been underway since WWII. The Bebek Bastion is the most preserved part of the castle, in the lower part. There is a newish museum there, dedicated to the history of Fiľakovo and its industry. Hrad Lietava (Castle Lietava), located in the Central Slovak Žilina District, stands among the biggest castle ruins in Slovakia. Allegedly named after the Slavic goddess of love and spring, Lada, Castle Lietava celebrated 700 years in 2018. 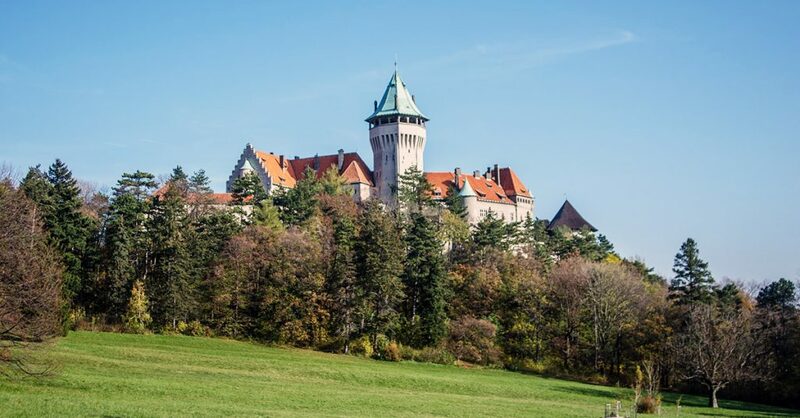 Lietava is also the first castle in Slovakia to be owned by a nonprofit organization. Founded in late 13th century and expanded in the 16th, Lietava grew into what was considered to be an unconquerable castle. It was then abandoned in the 18th century. Today, Castle Lietava ruins feature the remains of portals, inscriptions, fireplaces, coats-of-arms, and particularly fortifications, with cannon holes and windows. Due to its state and deterioration, World Monument Fund in 2010 included Lietava on its watchlist. 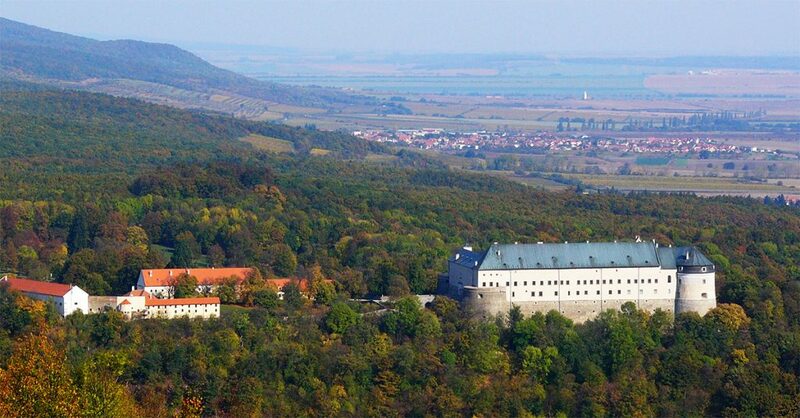 Spišský hrad (Spiš Castle) has two major claims to fame: it is the biggest castle (ruin) in Central Europe and one of Slovakia’s proudest UNESCO World Heritage Sites (since 1993). 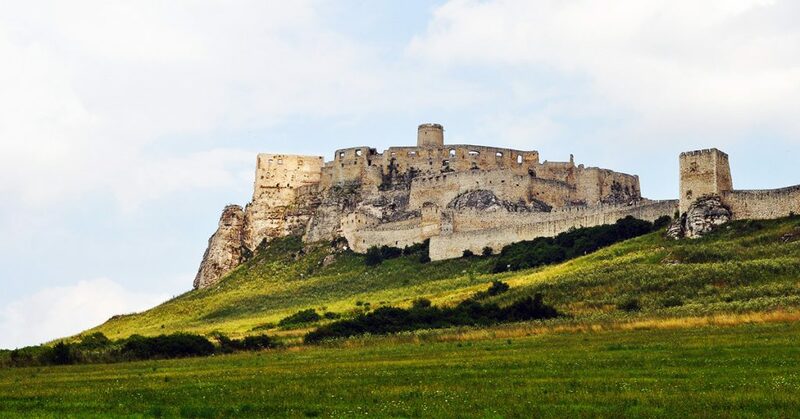 Following the original construction in the 12th century atop a travertine hill, Spiš Castle was first a border fortress. The castle was expanded several times, particularly in the 14th century, becoming for centuries the power center of the Spiš region. One of the Hungarian kings was born here. A big fire destroyed this wonderful Slovak castle in 1780. 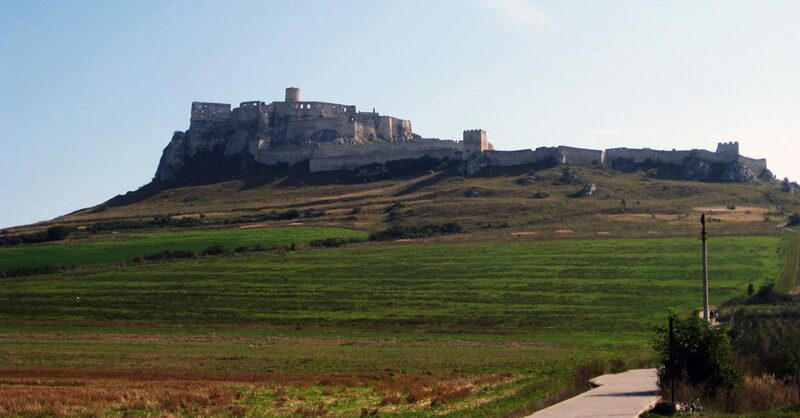 Spiš Castle then fell into ruin until the 1970s, when a conservation effort began. 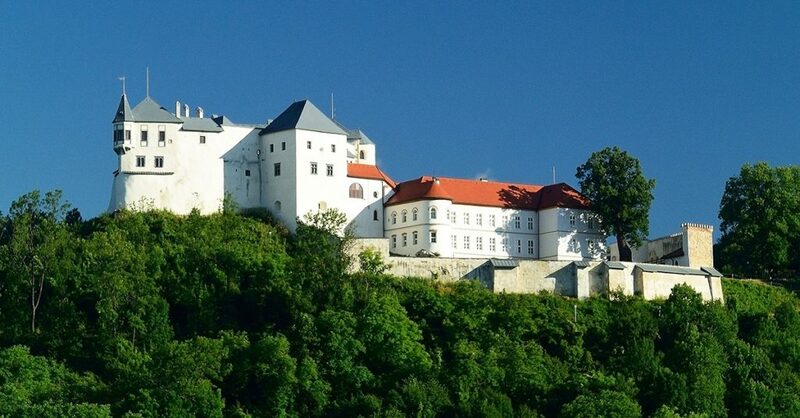 The museum located at Spiš Castle showcases the castle’s history, historic weaponry, and feudal justice practices. Spiš Castle, Slovakia is the country’s top destination, drawing visitors and school trips from across the region and beyond. Night tours have become popular in recent years, and various reenactments and historical performances draw crowds in the summer. Pair the visit to Spiš Castle with a short hike to the nearby Dreveník travertine preserve, the “Slovak Vatican” Spišská Kapitula, and the town of Spišská Nová Ves. Hrad Strečno (Castle Strečno) is one of the two castles (the other being Starý hrad, or Old Castle), guarding the River Váh’s exit from the Malá Fatra Mountains and, more down to earth, the toll operation at a river ford. Younger of the two, Strečno Castle originated at the turn of the 14th century. Castle Strečno was expanded a number of times. It reached its pinnacle in the 17th century, becoming the best-fortified castle in the region. 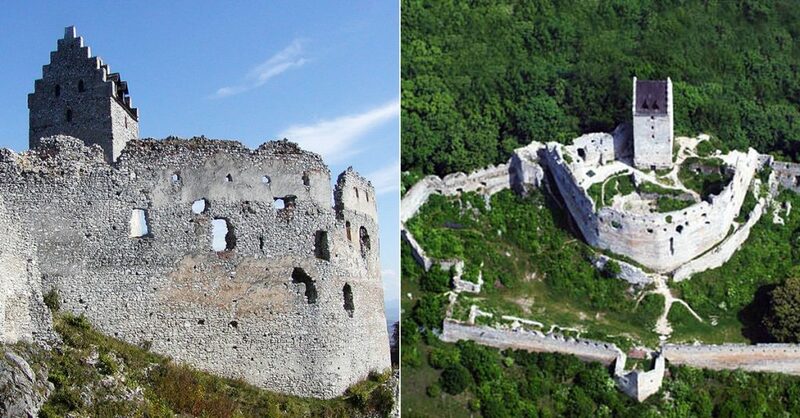 Strečno Castle was destroyed and turned into a ruin by the empire armies as a punishment for the castle lord’s participation in the nobility uprising against the Hapsburgs. Following an extensive conservation effort, Castle Strečno tops the list of regional tourist attractions and is one of the best-known and most pictoresque Slovak castles. The museum located here exhibits the castle’s history and the local tradition of blacksmithing. Hrad Šomoška (Castle Šomoška) is a ruin right on the border with Hungary, in the Banská Bystrica District. Šomoška is unique for its construction material: basalt columns found in the hill upon which it stands. Built after the Mongol invation, it changed hands often thru the 18th century when it was demolished after the Rákóczi Uprising; it burned down further in 1826 after it was struck by lightning. Conservation and partial restoration took place in the 1970s. The castle hill is a nature preserve, featuring the formation called Rock Waterfall, a fan of six-sided basalt columns. A so-called Rock Sea in the surrondunding forest is an area comprising only rocks. 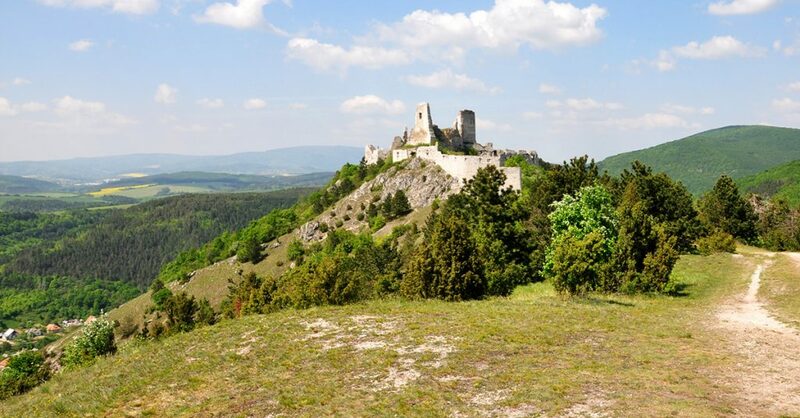 Located in the Nitra District, Topoľčiansky hrad (Topoľčany Castle) was built just before the Mongolian invasion. 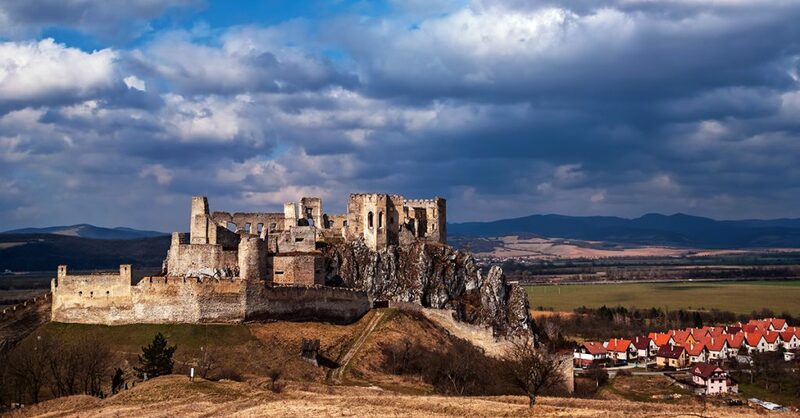 Like many castles in “Upper Hungary,” this Slovakian castle changed hands frequently. Topoľčany Castle was greatly damaged during the Rákóczi Uprising in the 18th century. Afterward, it deteriorated despite a number of renovations and additions. Today, the most distinctive part of the castle remains the uniquely-shaped tower, and the fortifications have also been preserved. Even better, the view from the top, over the Nitra region, is priceless.